The Australian Taxation Office (ATO) taxes individuals differently depending on their residency status. All Australian residents and non-residents who have earned wages for the income year are required to report their earnings and pay the necessary tax. However, the Australian Taxation Office (ATO) has different sets of definitions and regulations for residents and non-residents. A person’s residency status will determine how much tax they have to pay and what they can claim as deductions. A person’s residency status will determine how much tax they have to pay and what they can claim as deductions. Read on below to understand the difference. An individual does not need to acquire citizenship or permanent resident status to be taxed as a resident. A person with a visa to stay and work long-term in Australia may be treated as a non-resident in a specific tax season. Resides Test: ATO adopts the ordinary meaning of the word ‘reside’, which means ‘to dwell’ in a place for a considerable amount of time (or permanently). Australians may still be considered a non-resident if they have considerable business dealings, livelihood, or properties in other countries. In such cases, residency will be determined by satisfying any of the next three tests. Domicile Test: this test requires a person to have a place of abode in Australia and consider it as their home. It doesn’t necessarily mean ownership of a aproperty as what is considered is a strong connection to the property and not possession and ownership. The ATO may consider a person who is renting a small room intermittently to have failed the Resides Test However, if an individual keeps renting the same property and establishes ties with the neighbourhood by voluntarily participating in sporting, cultural, or social events, they may pass the domicile test. Australians who work or live in other countries for extended periods may be considered as a resident for tax purposes, if they maintain ties with people and places within Australia. A person who fails to permanently end ties in Australia could still be considered an Australian resident, regardless if they have intention to permanently reside elsewhere. 183-day Test: If a person stays in Australia for at least half of the income year (or 183 days), whether continuous or intermittent, they may be considered a resident. Superannuation Test: If an individual contributes part of their income into the Australian superannuation fund, they are considered as residents. This test is designed to ensure Australian government employees that are assigned overseas are treated as residents for tax purposes. Private overseas employees can satisfy this test if they maintain a superannuation fund while working abroad. The assumption is that maintaining a Super fund means the individual considers Australia as their residence. The ATO decides what incomes to tax, how much to charge, and who is eligible for tax benefits based on residency status. Australian residents are required to pay taxes on all income, no matter where it is derived from. Those working overseas are liable for taxes whether income is already taxed locally or overseas. Non-residents are only taxed on income derived in Australia. If a resident’s income is less than $18,200, taxes are not imposed. Surpassing that threshold means a marginal tax rate starting at 19 per cent for each $1 over $18,200. Non-residents are automatically taxed a rate of 32.5 per cent for incomes less than or equal to $87,000. Surpassing that threshold means increased tax rates, depending on the ATO tax matrices and thresholds. However, they are not required to pay the Medicare levy. If the non-resident does not apply for a tax file number (TFN), 45 per cent of their income will be withheld for tax purposes. Individuals with 417 and 462 visas are exempted from this marginal rate. Working holiday-makers and backpackers are taxed at 15 per cent from the first $1 up to $37,000 in an income year regardless of their residency status. Only residents are required to pay Medicare levy at 2 per cent. Only residents are allowed to benefit from Medicare services and discounts. All health care services are out-of-pocket costs for non-residents. 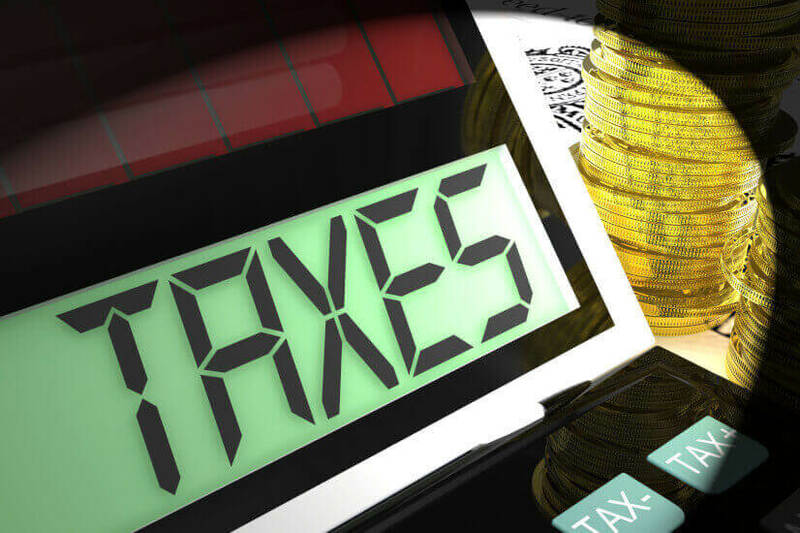 Residents who earn income from their investments, such as dividend shares, are required to pay tax at a marginal tax rate. Non-residents who purchase and earn from investments or bank accounts in Australia will have 10 per cent of their interest earnings withheld for tax. If the non-resident does not provide an overseas address, the rate will go up to 45 per cent. Give me a (tax) break! Residents may benefit from tax offsets and fringe benefits allowed by ATO. This allows residents to lower tax liabilities in any income year. Non-residents are not allowed to offset taxes and apply for financial aids that the government extends to Australian residents. ATO’s definition is different from other government agencies because to discern residency, the assessment extends to a person’s attitude, behaviour, and community relationships during their stay in Australia. If one mistakes their residency status, the ATO can have penalties for lodging an improper tax return. It’s the quality of life in Australia that matters, not necessarily the duration of stay and quantity in terms of income, assets, or relations that makes the ATO determine resident and non-resident status. This information has been sourced from the Australian Taxation Office, Lewis taxation and Cooper Grace Ward. Keep calm, you will ... - 2 hours ago.